Don't forget - @BadgerWHockey has a national semifinal tomorrow at 6 ET/5 CT. @BadgerMHockey has B1G semi at 4:30 ET/3:30 CT. Both streamed. And now, all 8 3-pointers by @BadgerMBB 's Bronson Koenig. #schoolrecord . #Badgers win 84-74. Story filed. Iverson, Koenig and Hayes huge in variety of ways. UW hit big FTs all second half. 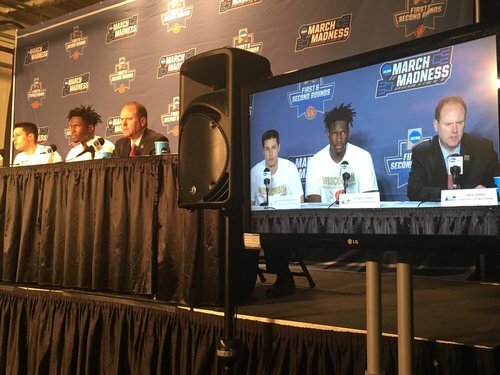 Nigel Hayes: I think it definitely helped a lot having some older guys who have been through the tournament. Gard on Koenig: I've known him since he was a freshman in HS ... I've seen him do a lot of things ... He's a heck of a player. 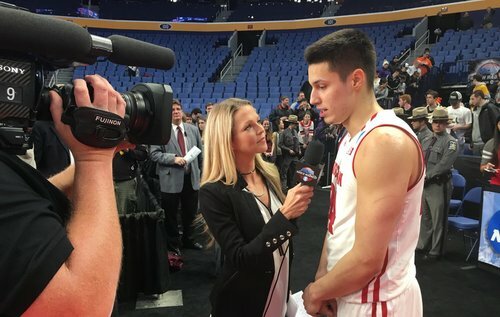 Career-high 8 triples gets you an interview with Allie LaForce. Gard on Koenig: He gets credit for knocking down shots but other guys had a hand in helping that happen. Gard said Justin Bibbs scored his two 4-point plays on two inbounds plays Wisconsin went over in practice the last two days. Oops. #Badgers get second game Saturday. First is 12:10 Eastern, so UW about 2:40 Eastern? 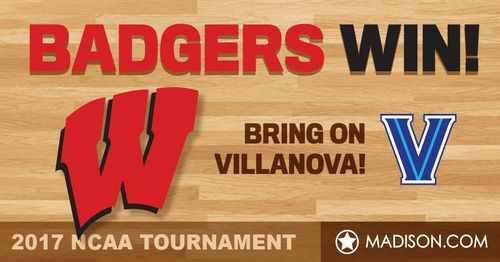 #Badgers -Villanova set for 1:40 CT on Saturday on CBS. #Badgers Koenig said he was able to catch breath in 2nd half. Said wasn't sure of issue in first. Maybe anxiety.